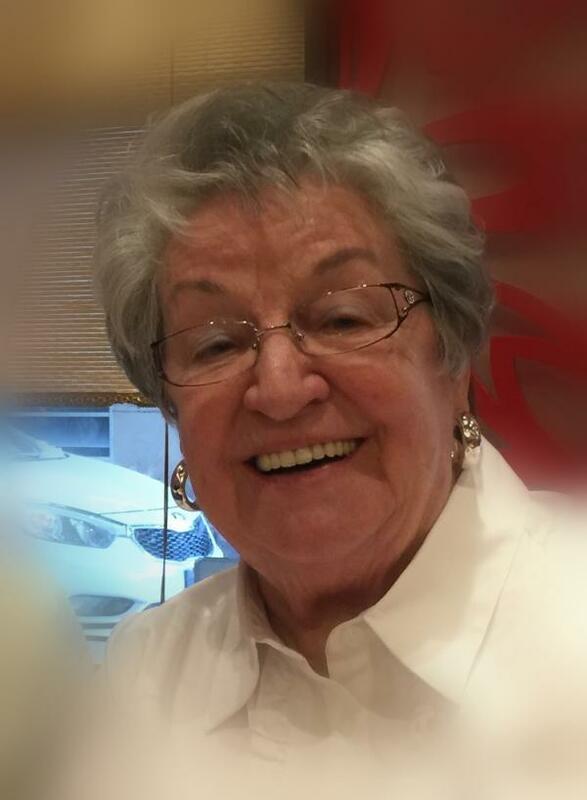 Peacefully at her home in Hamilton, surrounded by her family, on Saturday, January 12, 2019, Arlette Sloan passed at the age of 80 years. Beloved wife of Omar Greg Sloan for 61 years. Dear mother of the late Gregory Sloan, Lloyd Sloan (Monica), Michael Sloan (Julie) and Rochelle Hammond (Larry). Cherished grandmother to Brian Sloan (Carley), Steven Sloan (Amanda), David Sloan, Sarah Braico (Dan), Daniel Sloan (Michelle), Darren Hammond, Allan Sloan, Crystal Sloan, Lloyd Sloan Jr. (Stephanie), Joshua Sloan and grand nanny to Jase, Tenley, Declan, Tegan, Kacey, Jordan, Lydia and Jaxon. Dear sister to Tillie (Bobbie Morrison), Gail (Mick Meechan), David Denny, Michael Denny, the late Jeannie (Jim Ferguson), the late Ann (Art Loggie), Mockie (Maurice Laurin), Lonnie (the late Jim Denis), Rita (Jack Hurst) and Michael "Louie" Eddy. Arlette will be sadly missed by her many nieces, nephews, brothers and sisters-in-law and their families. Arlette is a retired employee of the Credit Bureau of Hamilton and was involved with the Catholic Women's League and R.C.I.A. of Regina Mundi Church, Hamilton and Past President and Secretary of the Credit Women's International. Visitation at Bay Gardens Funeral Home - "William J. Markey Chapel", 947 Rymal Rd. East, HAMILTON (905.574.0405) on Wednesday, January 16th from 2 - 4 p.m. and from 7 - 9 p.m. The Vigil Prayers for Arlette will be held on Wednesday at 3:30 p.m. The Funeral Mass will be held at Regina Mundi Roman Catholic Church, 631 Mohawk Rd. West, Hamilton on Thursday, January 17th at 10 a.m. with Reception immediately following at the Church Hall. Cremation will take place. For those who wish, memorial donations made to Regina Mundi Church, Hamilton would be appreciated. Please sign the online Book of Condolences at www.baygardens.ca.